I joke that I write amateur sleuth mysteries because I hate research. But what I mean is that I hate the kind of research that readers get mad at you for. Like if I get a fact wrong about guns, or police procedure, or the exact layout of a city. But I love all the other kind of research, that which informs the plot or adds a layer you didn’t even know you needed. Or, heck, even something that’s just delightful to learn about, even if you don’t end up using it in your story! 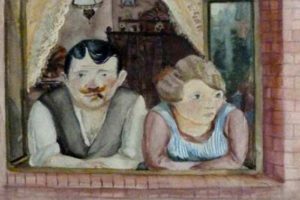 In FICTION CAN BE MURDER I learned more about the art stolen by the Nazis during WWII. There’s a movement now to determine provenance of many pieces of important artwork and reunite them with their rightful owners. It’s a complicated task, as you can imagine. It involves most of the great museums in the world who are now tasked with investigating their collections to see if they are in possession of any of these looted works of art. But even if they determine the rightful ownership of the paintings, it’s often impossible to repatriate them because many of the families stolen from were destroyed during the war. There’s no one left to take possession of the art. Hitler and the Nazis purged and confiscated anything they deemed to be “degenerate” art, mostly from Jewish citizens and art dealers and other enemies of the Reich. Some paintings were sold to other nations to raise capital for the Nazi war machine. Some were usurped for the private collections of highly placed Nazis. The rest was sent into storage in caves to hide them from the Allies. George Clooney’s movie “The Monuments Men” is based on this story. In FICTION CAN BE MURDER, there’s a visit to the Denver Art Museum with an exhibit of many of the looted works. It’s just a small part of the plot, but I found it a fascinating rabbit hole to dive into. During my research quest, I was searching for specific subjects of paintings, and stumbled into the looted art stories. These are the paintings I refer to in the story. and “Man and Woman” by Wilhelm Lachnit. 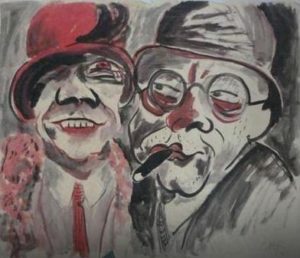 I love the stylized look of these two paintings â€” as did Charlemagne “Charlee” Russo, my sleuth â€” and it was exactly what the story needed. The story behind the paintings was exactly what *I* needed. Stumbling upon fascinating stories is what keeps my brain clicking away. It didn’t really fit in FICTION CAN BE MURDER to take a long detour into the land of looted artwork, and I’m reminded of the “Iceberg Theory of Writing.” The tip of the iceberg is what you show your readers. But everything underneath the water is what the author knows. All that research. Your characters’ habits, likes, and dislikes. Backstory. It’s all under there, floating around. As a reader, do you like to learn tidbits in your novels? What’s something you’ve learned recently? As a writer, is it difficult to know when to stop researching a subject that fascinates you? How do you know how much to include in your novel? This entry was posted in Writing, Reading and Publishing and tagged FICTION CAN BE MURDER, looted artwork, research for fiction on May 7, 2018 by Becky. Need A Reason To Read FICTION CAN BE MURDER? Buy it from your favorite bookseller …. or ask your librarian to order it! 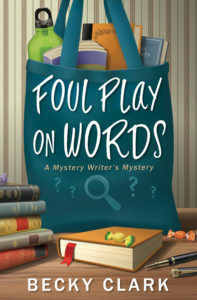 This entry was posted in Authors/Books You Might Like, Favorite Stuff I Read, News You Might Have Missed, Writing, Reading and Publishing and tagged cozy mysteries, FICTION CAN BE MURDER, humorous mysteries, traditional mysteries on April 6, 2018 by Becky. I first read about the concept of “1,000 True Fans” a long time ago from someone in the music industry. The gist of it, for him, was that if he got 1,000 people to spend $100 every year buying his music, going to his concerts, ordering the t-shirts, or whatever, that would translate to $100,000. A pretty nice yearly income from his art. I started thinking about this in terms of my writing. I make money on my books, but it’s not my primary source of income, so I defined my idea of success for me. â€¢ I want to have FICTION CAN BE MURDER in every public library district in the United States. â€¢ I want at least 50 Amazon and Goodreads reviews and ratings with at least a 4.0 average. â€¢ And I want True Fans who are excited every time I have a new book or short story out. If you like my writing (or if you just like me! ), there are many things you can do to ensure I get to keep writing. 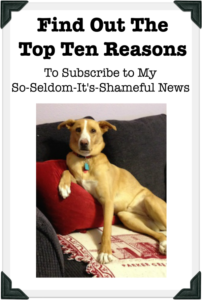 (Publishers don’t like it when books don’t sell or when there’s no buzz.) Here are some suggestions. If you can see fit to do one or more of these things, you will have my undying gratitude and find yourself in True Fan territory. 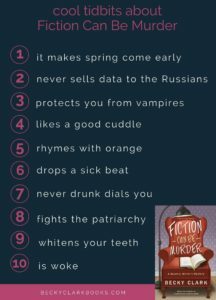 â€¢ Pre-order FICTION CAN BE MURDER from your favorite bookseller before it launches in April from Amazon, Barnes & Noble, or find an independent bookstore,Â and encourage your friends to do the same. When you pre-order, the book gets shipped to you the minute it’s released. The bigger the pre-orders, the higher the rank, the more likely it will get other buzz from Amazon or certain lists, etc. Buzz, buzz, buzz. It grows exponentially. 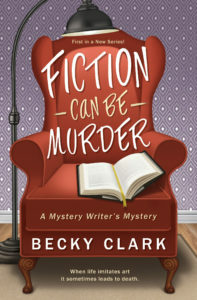 â€¢ Request that your public library carry FICTION CAN BE MURDER by Becky Clark. They’ll only need the ISBN 978-0-7387-5332-4. This is very important to me. I love libraries and I love the idea of one book being shared multiple times all over the country. Ask your friends to do the same at their library. â€¢ Post Amazon and/or Goodreads reviews and ratings. Honest reviews influence readers and are very important to author rankings. Reviews don’t have to be long to be effective, just a couple of sentences work. Reviews are important all the time over the life of a book, but they’re especially important during the week of its release, April 8, 2018 in my case. Which is also why pre-ordering is so very important. â€¢ Ask your book club to read FICTION CAN BE MURDER as one of their monthly selections and ask the members to post their reviews. â€¢ If you’re on Goodreads, add FICTION CAN BE MURDER to their various lists. I’ve seen lots of lists where it would fit, for example â€” books that make you laugh, woman-authored books, humorous mysteries, beach reads-mystery, best of little-known authors, cozy mystery series-first book of a series, best cozy mystery series, best humorous books, and my favorite list … “If You Like Books by Janet Evanovich, You May also Like…” If FICTION CAN BE MURDER is already listed, then vote on it to raise it higher on the list. So, those are a few things you can do to help me. Writing is a solitary endeavor, and one where it’s too easy to lose perspective. It’s so gratifying when people enjoy what I’ve done and I want to keep doing it as long as I can, so THANK YOU for indulging and encouraging me. 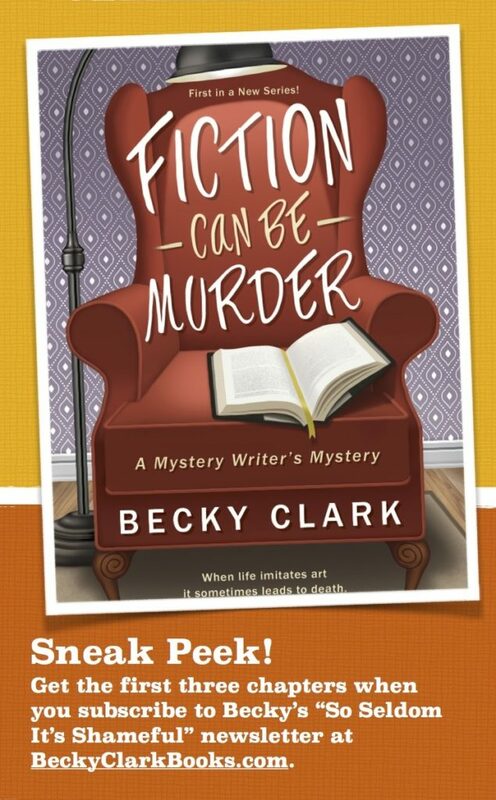 This entry was posted in Authors/Books You Might Like, Writing, Reading and Publishing and tagged Becky Clark, cozy mysteries, FICTION CAN BE MURDER, how to help your favorite authors, humorous mysteries on January 29, 2018 by Becky. What, You Ask, Are Copyedits Like? Doing copyedits on a novel is like being sent on the most intense scavenger hunt EVER. Page 43 sends you to the notes on page 168 and then to the notes on page 285 so you read them all, then tweak page 43 and/or page 285 but you decide with the other tweaks, page 168 is okay as it stands. So you go back to continue on at page 44. But when you get to page 168 and see the note from your editor, you don’t remember if you changed page 43 so you go back to check. But page 43 isn’t page 43 anymore because you’ve added and/or deleted words since then … because page 59 sent you to page 12 which sent you to page 97. Etcetera, etcetera, etcetera. By the time you’ve gotten lost in the minutiae of the manuscript, you can’t even remember your own name, much less what that character said about the photographer, or if that one had a cigar, or why that one didn’t make that important call when she said she would! And then, of course, you slink downstairs to take a deep, cleansing breath and to remove a single piece of dark chocolate from its hiding place. With the sharp aftertaste of cacao on your tongue you straighten your shoulders, march upstairs, and get back to it, blessing your copyeditor for asking all these questions. Because you’re a writer and this is what writers do. 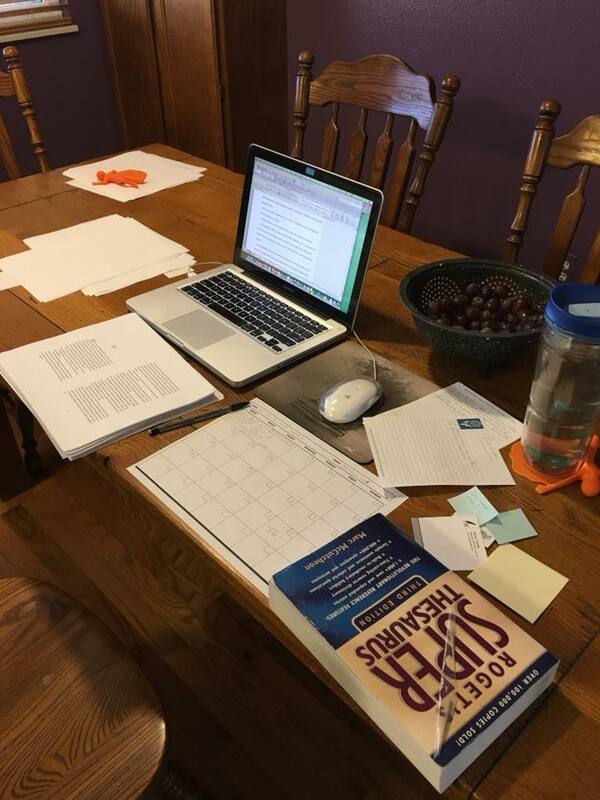 This entry was posted in Writing, Reading and Publishing and tagged copyedits, editing novels, editors, FICTION CAN BE MURDER, manuscript editing, mysteries, the joys of writing on January 12, 2018 by Becky.